We offer our staff diverse and extensive benefits. View our current vacancies where you will find details on the latest careers we have available to you. All new employees automatically become a member (if eligible). In return, you will get an excellent package of pension benefits. For more information please contact the Pension Department on telephone number 0117 3402838. Our Saplings Day Nursery is located within Monks Park House, Southmead Hospital and is registered with OFSTED. It can accommodate 58 children aged from six weeks to five years. The nursery is open from 7am-6pm from Monday to Friday, 52 weeks of the year, excluding bank holidays. For further information and to arrange a visit contact Helen Dacre, Saplings Nursery Manager on 0117 3236375. If you decide to use our NBT options you can obtain childcare vouchers using the scheme run by Edenred. For more information call Edenred on 0800 2471233 or email helpdesk-uk-vbr@edenred.com quoting North Bristol NHS Trust. All of our employees are given access to CPD. This is through annual appraisal-reviews, which give staff the chance to undertake personal development plans. We can offer you some truly excellent professional development opportunities. When you join us as an employee, you will receive a number of exciting benefits. We can provide you with discounts in up to 120 different retailers, gyms, and restaurants. Once registered, all you have to do is meet the criteria of the discount, and show your North Bristol NHS Trust ID & Access Card. You can easily find a copy of the discount on the intranet, in the HR portal, in the Staff Benefits section. Our partnership with the website MyTrustBenefits gives you access to discounts with hundreds of high street brands, such as Boots, M&S, Homebase, Asda, and Costa. The website allows you to claim discounts, earn cash back, and more. We receive commission for every purchase made from the supplier, this is then reinvested back into the hospital to support staff wellbeing and to support reward initiatives for staff. Register for an account today by visiting www.nbt.mytrustbenefits.co.uk. 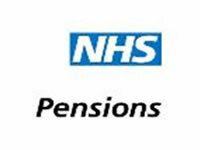 As an NHS employee, you are eligible to sign up for a range of discount websites. The local staff discount brochure lists some well-known discount websites. Any member of staff can join our staff lottery for as little as £1 a month. If you join, you will be entitled to discounts for theatre tickets, family days out, and more. For more information contact the Staff Lottery Office on 0117 3404506.